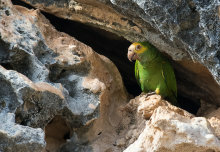 Remote recording devices have been used for the first time to track the reintroduction of a rare species back into its native habitat. 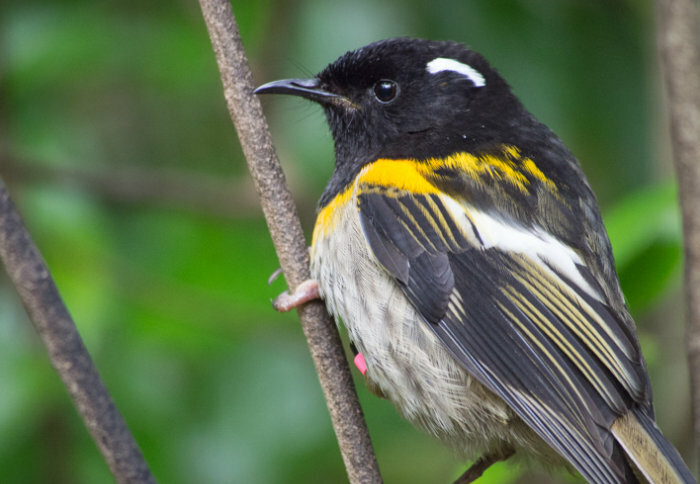 The New Zealand hihi bird is classed as locally extinct across much of its natural habitat, but conservation efforts have reintroduced populations of the bird back into these areas. However, it is difficult to monitor the success of such reintroduction programmes without interfering with the animals, such as fitting them with radio collars. Instead, scientists from ZSL (Zoological Society of London), Imperial College London and conservationists from the Rotokare Scenic Reserve Trust used acoustic monitoring devices to listen in on the ‘conversations’ of hihi birds, allowing them to assess the success of the reintroduction without impacting the group. This is the first time scientists have used the calls of a species as a proxy for their movement. A happy hihi call sounds like two marbles clanging together in what is known as the ‘stitch’ call. Scientists saw the calls change from an initial random distribution to a more settled home range – marking the hihi reintroduction as a success. The study, published today in Methods in Ecology and Evolution, was carried out in the Rotokare Scenic Reserve in the Taranaki region of North Island, where 40 juvenile birds were released in April 2017. This marked the first time hihi have been seen in the region since their regional extinction over 130 years ago. Once found across northern New Zealand, the hihi or stichbird (Notiomystis cincta) are now classed as locally extinct across most of their former range, due to habitat loss and fragmentation and the spread of non-native mammal predators. There are only a few thousand adults left in highly protected reserves. 'A novel method for using bioacoustics to monitor post-translocation behaviour in an endangered passerine' by O. C. Metcalf, J G. Ewan, M. McCready, E. M. Williams, J. M. Rowcliffe is published in Methods in Ecology and Evolution. Based on a press release by the ZSL.